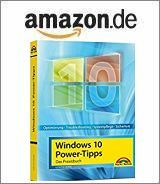 [German]On Patchday (second Tuesday of the month, March 13, 2018) Microsoft has released several security-related updates for Microsoft Office 2007, Office 2010, Office 2013 and Office 2016. Updates refer to the installable MSI version of Office (the click-to-run packages obtain updates through other channels). All security and non security updates are documented on this website, details may be found within the linked KB articles. The updates for Office close a vulnerability that can lead to remote execution of code when opening prepared Office files. The updates partially introduce a new registry entry (DWORD value RestrictObjectMacros) with which macro execution can be better controlled. Furthermore some updates contain improvements and bug fixes. In Microsoft Word 2016, Microsoft sometimes states that after installing the KB4011730 update, it may be impossible to open saved document files or save new documents. A workaround is to install the update KB4018295 from March 6, 2018. Details can be found in the linked KB articles. Access 2016: Description of the security update for Access 2016: March 13, 2018 (KB4011665); This security update fixes vulnerabilities in Microsoft Office 2016 that could allow remote code execution when a user opens a specially crafted Office file. For more information about these vulnerabilities, see Microsoft Common Vulnerabilities and Exposures CVE-2018-0903. Excel 2016: Description of the security update for Excel 2016: March 13, 2018 (KB4011727); This security update fixes vulnerabilities in Microsoft Office 2016 that could allow remote code execution when a user opens a specially crafted Office file. For more information about these vulnerabilities, see Microsoft Common Vulnerabilities and Exposures CVE-2018-0907. Word 2016: Description of the security update for Word 2016: March 13, 2018 (KB4011730); This security update fixes vulnerabilities in Microsoft Office 2016 that could allow remote code execution when a user opens a specially crafted Office file. For more information about these vulnerabilities, see Microsoft Common Vulnerabilities and Exposures CVE-2018-0919. To apply the following security updates, the release version of Service Pack 1 for Microsoft Office 2013 must be installed on your computer. Access 2013: Description of the security update for Access 2013: March 13, 2018 (KB4011234); This security update fixes vulnerabilities in Microsoft Office 2016 that could allow remote code execution when a user opens a specially crafted Office file. For more information about these vulnerabilities, see Microsoft Common Vulnerabilities and Exposures CVE-2018-0903. Excel 2013: Description of the security update for Excel 2013: March 13, 2018 (KB4018291); This security update fixes vulnerabilities in Microsoft Office 2016 that could allow remote code execution when a user opens a specially crafted Office file. For more information about these vulnerabilities, see Microsoft Common Vulnerabilities and Exposures CVE-2018-0907. Word 2013: Description of the security update for Word 2013: March 13, 2018 (KB4011695); This security update fixes vulnerabilities in Microsoft Office 2016 that could allow remote code execution when a user opens a specially crafted Office file. For more information about these vulnerabilities, see Microsoft Common Vulnerabilities and Exposures CVE-2018-0919 and Microsoft Common Vulnerabilities and Exposures CVE-2018-0922. To apply the following security updates, the release version of Service Pack 2 for Microsoft Office 2010 must be installed on your computer. Access 2010: Description of the security update for Access 2010: March 13, 2018 (KB3114416); This security update fixes vulnerabilities in Microsoft Office 2016 that could allow remote code execution when a user opens a specially crafted Office file. For more information about these vulnerabilities, see Microsoft Common Vulnerabilities and Exposures CVE-2018-0903. Excel 2010: Description of the security update for Excel 2010: March 13, 2018 (KB4011675); This security update fixes vulnerabilities in Microsoft Office 2016 that could allow remote code execution when a user opens a specially crafted Office file. For more information about these vulnerabilities, see Microsoft Common Vulnerabilities and Exposures CVE-2018-0907. Office 2010: Description of the security update for Office 2010: March 13, 2018 (KB4011673); This security update fixes vulnerabilities in Microsoft Office 2016 that could allow remote code execution when a user opens a specially crafted Office file. For more information about these vulnerabilities, see Microsoft Common Vulnerabilities and Exposures CVE-2018-0919 and Microsoft Common Vulnerabilities and Exposures CVE-2018-0922. Word 2010: Description of the security update for Word 2010: March 13, 2018 (KB4011674); This security update fixes vulnerabilities in Microsoft Office 2016 that could allow remote code execution when a user opens a specially crafted Office file. For more information about these vulnerabilities, see Microsoft Common Vulnerabilities and Exposures CVE-2018-0919 and Microsoft Common Vulnerabilities and Exposures CVE-2018-0922. To apply the following security updates, the release version of Service Pack 3 for Microsoft Office 2007 must be installed on your computer. Excel 2007: Description of the security update for Excel 2007: March 13, 2018 (KB4011714); This security update fixes vulnerabilities in Microsoft Office 2016 that could allow remote code execution when a user opens a specially crafted Office file. For more information about these vulnerabilities, see Microsoft Common Vulnerabilities and Exposures CVE-2018-0907. Word 2007: Description of the security update for Word 2007: March 13, 2018 (KB4011721); This security update fixes vulnerabilities in Microsoft Office 2016 that could allow remote code execution when a user opens a specially crafted Office file. For more information about these vulnerabilities, see Microsoft Common Vulnerabilities and Exposures CVE-2018-0919 and Microsoft Common Vulnerabilities and Exposures CVE-2018-0922. Microsoft Office Compatibility Pack Service Pack 3: Description of the security update for Microsoft Office Compatibility Pack Service Pack 3: March 13, 2018 (KB4011720); This security update fixes vulnerabilities in Microsoft Office 2016 that could allow remote code execution when a user opens a specially crafted Office file. For more information about these vulnerabilities, see Microsoft Common Vulnerabilities and Exposures CVE-2018-0922. It seems that this is one of the last updates, because the Compatibility Pack reaches end of life in April 2018 (see Microsoft Office Compatibility Pack reaches EOL in April 2018). Word Viewer: Description of the security update for Word Viewer: March 13, 2018 (KB4018309); Closes vulnerabilities in Office/Word Viewer, details are described in Microsoft Common Vulnerabilities and Exposures CVE-2018-0922.